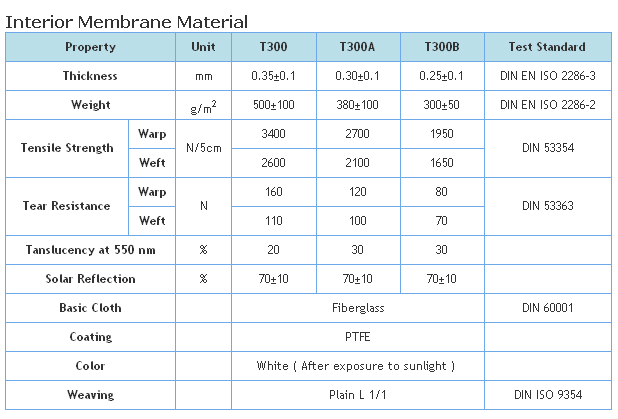 VK Architectural membranes are manufactured with our own uniqe proprietary technology,of coating speciality woven B glass fabrics with PTFE resins. 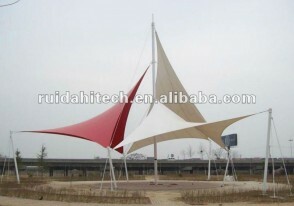 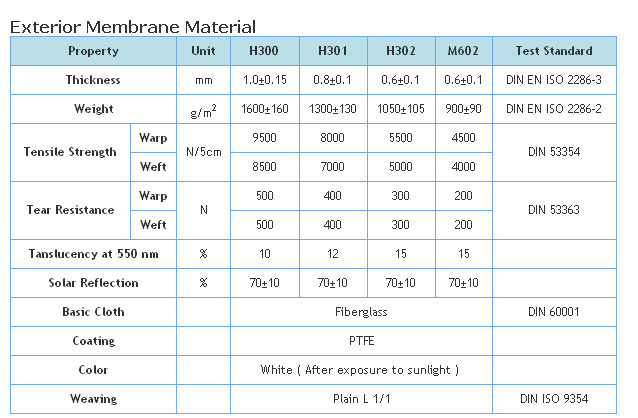 PTFE coated glass fabrics could have higher structural strength than steel,(in certain conditions),and are unaffected by temperature variations between -80 to 260oC.Meanwhile PTFE coated Membranes'unique properties are water repellant,resistant to adverse weather conditions and almost totally self-cleaning. For this reasaon, VK Architectural membranes are excellent construction materials that provides superior properties, longer guaranteed life and enhanced asethetics.